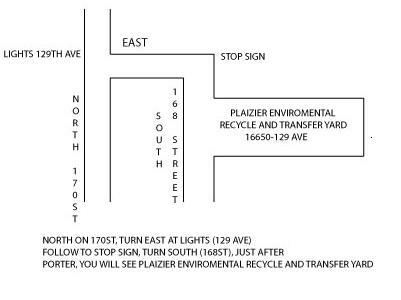 "PLAIZIER ENVIRONMENTAL RECYCLING SERVICE TRANSFER YARD"
For a fee you can drop off your recyclables and dry waste materials. 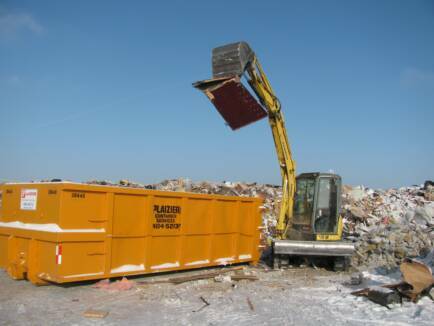 Basically anything that is dry waste, nothing toxic. With the growing concern about our environment, we all need to do our part.